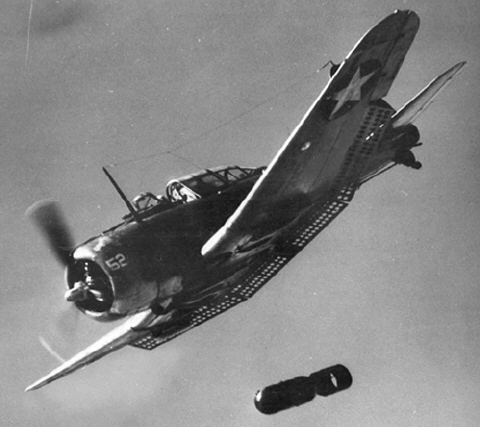 The Douglas built SBD (Scout Bomber Douglas) also called the “Dauntless”, was a World War II United States Navy (USN) Dive Bomber and Scout plane. The SBD was the USN main aircraft carrier bomber from 1940 through 1944. 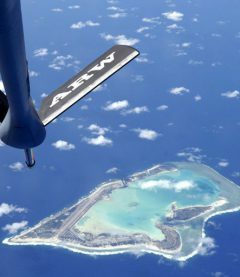 It is remembered as the plane that devastated four Japanese aircraft carriers at the Battle of Midway in June 1942. The SBD also had a nickname of “Slow But Deadly” which was well deserved as it possessed long range, good handling characteristics , maneuverability, potent bomb load, excellent diving characteristics, good defensive armament and ruggedness. The SBD was also used by the United States Marine Corp (USMC) on land bases and Marine squadrons were also assigned on aircraft carriers. One SBD variant, without the arrestor hook , was built for the United States Army Force (USAAF) as the A-24 Banshee. The primary users of the SBD Dauntless/A-24 Banshee were The USN, The USAAF, Free French Air Force and Royal New Zealand Air Force. The SBD/Banshee were built between 1940-1944 and 5,936 of all variants were built.